Since 1999 Straylight Mastering has expanded the sonic boundries of some of the most memorable House & Techno, Drum & Bass, Jungle, Dubstep, Garage, Hip-Hop, Dancehall, Breaks, Ambient, 2-Step, IDM, EBM, and ‘EDM’ releases in the game. Straylight, lead by chief engineer Clearwater Hawes and bolstered by his understudies, brings over 30 years of first hand experience from behind the curtain of underground music culture as Producers, DJs & Audio Engineers. And this is exactly why Straylight is where your material needs to be. We KNOW the Underground! Get your Music Mastered Now! Lee Burridge • Oona Dahl • Doc Martin • Remi Mazet • Sunshine Jones (Dubtribe Sound System) • Reverse Commuter • The Bystanders • Slumber • Terry Francis • Phillip Charles • Three • Grumptronix • David Christophere / Rabbit In The Moon • Mr. C • Robbie Hardkiss • Heat Merchantz • Zev • Q-Burn • Vita • J. Alvarez • Ulysses - and more. Tango • Rene LeVice • Mikal • Jaybee • Big Bud • Kubiks • Flaco • Command Strange • Salaryman • Duoscience • Grimm • Cybass • Humanature • Soul Culture • D-STAR • Malaky • Stunna • Random Movement • Calculon • MSDOS • Submatic / Beatknowlogists • Dave Owen • Cutworks • XTC • Sevin • Actraiser - and more. 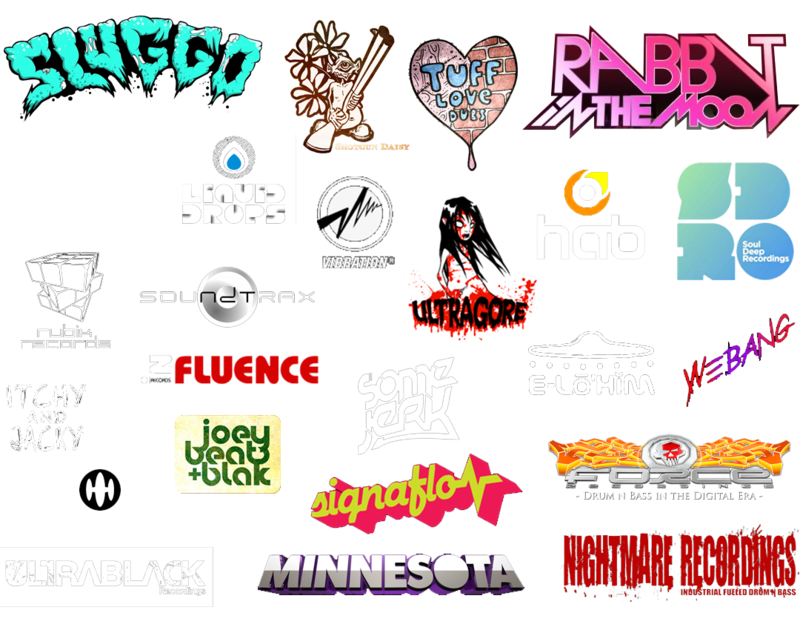 Minnesota • Sluggo • Bukez Finezt • Bare • Getter • Nerd Rage • We Bang • Richie August • Claw (RIP) • Hulk • DAVR • Geof Bukk • Static Function • Point.Blank • Itchy Robot • Natty Freq • Crimes! • MAGMO! • Druxledge • Korostyle • UAnimals • Halo Nova / Varien • Gutcha • The Juggernaut - and more. Soundtrax • Rubik Records • Hallucination Limited • Hallucienda • SoulDeep Records • Liquid Drops • Signaflow • FORCE Recordings • Tuff Love Dubs • Stepping Forward Records • Shotgun Daisy • Elohim Records • Nightmare Recordings • Influence UK • Have a Break • Vibration - and more. Want a 10% discount off your first Master? Then Join the Straylight Mastering mailing list receive a 10% discount off your first job! From then on out, whenever we offer new promo codes, you'll be the first person to now about it, dropped right into your email! We love Mastering new music from new artists and labels - let us bring your music to the next level! A) Master your songs to match the current standards for volume and sound spectrum within their respective genre. B) Engineer your songs to closely match the others they will be paired with creating a balanced overall release. While every mastering engineer uses generally the same tools - from Analog to Digital, in the box or out across a large console - the end result should always be that the output’s pleasurable sound exceeds that of the input. Final Masters must be able stand alongside or above any other release in their genre in terms of clarity, sonic style and volume. And like any craftsman, the amount of experience the engineer has with the type of music being mastered ultimately determines the quality level of the final output. Our experience comes from the street level on up. Starting as fans of underground dance music in the late 1980’s and early 1990’s, continuing through the process of becoming new producers, then traveling DJs and onward as record label owners… we ultimately found ourselves mastering and engineering music more than all else. This is why we KNOW the ‘SOUND OF THE UNDERGROUND’. STEP 3 is sending us a message describing any special requests you might have, giving some info about the examples you’ve provided and just generally providing information about your files and any concerns you might have within them that we’ll need to be aware of before staring. From here, we’ll be in touch within 24 hours to confirm your project’s addition to the engineering que. Most songs will be mastered and returned within 3-5 business days.